The powerful short film AMANI, is based on true events. In July 2011, Amani Simpson was stabbed seven times whilst attempting to intervene in a dispute. Amani Simpson has chosen to not only share his story, but use his story to save as many lives as possible, and share the way in which he transformed his life. 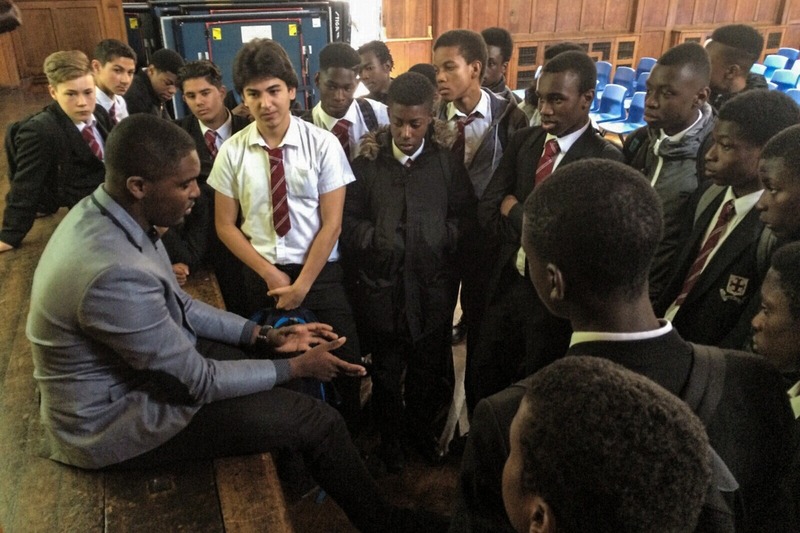 Amani rebuilt his life by founding the Aviard Inspires organisation; all in order to empower young people to make positive life choices and aspire higher. Amani’s story is portrayed on screen by actor Joivan Wade, who also wrote and directed alongside Ricardo Mcleary-Campbell and Richard Kattah. The film features a running spoken-word poem, also written and performed by Joivan Wade. This inner monologue explores the reflections of the young man, also battling his relationship with his faith. I had the opportunity to sit down with Amani, and discuss the film further. What inspired you to translate your own story and experiences into a film? What was this process like for you personally? Did you experience any adversity or problems during the production process? “Yeah, huge problems. The whole production was crowd funded. We needed to raise £20,000 in order to produce the film. Mid way through the production process our director realised we needed another 3 days filming time – and the whole schedule had to be changed to accommodate to that. The premiere was also meant to be on the 22nd November, but due to a technical issue we had to re-edit and reschedule. Which cost us over £2,000. What would you like young men/women who may be in similar situations to take from this film? “The main thing is that there is always hope. There is always opportunity to turn your life around. Would you also introduce your workshops/motivational speaking? “Yes, so basically, we go to schools with the film and run a 6 week programme where we break it all down to show the possibility of a positive outcome. We teach the kids practical life skills such as goal setting, the difference between good/bad relationships and many more transferable skills. What would you say to any budding filmmakers who wish to pursue a career within the industry? “To be honest, it’s all about getting the right team behind you; without a great production team it just wouldn’t be possible. We had a great story, and with the production team we’ve been able to inspire so many people. You just need to ensure that the idea is good, but the execution is even better. What I also say to young adults like myself is to Learn, Earn & Return. We have to learn, make money from the things we learn and then return to help over people come through. Previous Between Borders: the magazine redefining Britishness through art, conversation and lived experience.